As a dog owner, you know that your pet isn’t always perfectly well-behaved. But you can still be a good neighbor to everyone around you, even if your little pup isn’t always a little angel. Practice good dog owner etiquette, and the people who around you will definitely notice — and appreciate — your effort. Sometimes, you and your dog may go on a walk through the neighborhood. It’s fine for you to be sociable, and it’s natural to assume that your dog wants to do the same. That’s incorrect. Good pet owner etiquette dictates that you keep your dog away from other dogs, even when both are leashed, according to My Kid Has Paws. I used to be the dog owner who would let my dog approach any and every dog because I wanted him to have friends. After a run-in with an anti-social dog, being gawked at by my neighbors, and becoming a topic of doggy gossip, I’ve learned to stick to the dog park for socialization. As much as you may love your dog, you probably don’t love taking them out so they can do their bathroom business. It’s just as unpleasant for your neighbors as it is for you, particularly if you aren’t keeping it confined to your yard alone. If you take your dog out in the neighborhood, show good dog etiquette by cleaning up any mess they leave behind. Bring a pair of gloves for yourself and some baggies to scoop up their business and show your neighbors that you’re making a strong effort to respect their property. If you find yourself without a poop bag, use whatever means necessary to be neighborly. I’ve used a stick, an empty granola bar wrapper, and even returned several hours later, scooper in hand. Dogs do bark sometimes, and it’s very normal for your dog to bark when someone knocks at the door or a loud noise occurs within your home. My dog barks at the shadows moving across the floor. But you can train your dog not to bark at every little thing. Don’t yell at the dog to stop, according to the Humane Society. This sounds like you’re actually barking with them and encourages them to bark more. Ignore your dog’s barking. Don’t reward the dog in any way and even negative attention can be perceived as a reward. Don’t talk, don’t touch and don’t even look at the dog. Soon, the dog will understand that barking isn’t an efficient means of getting your attention. And be patient. If the dog keeps barking and you stop ignoring it and give the dog attention, the dog will just bark even longer next time. As was the case with my dog, I had to bring in a trainer to lay the groundwork. This isn’t admitting defeat; it’s bringing in reinforcements. Consider getting a fence around your backyard to keep your dog within your property. 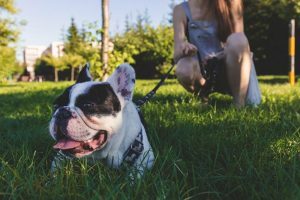 If you turn your dog loose in an unfenced yard, your dog definitely won’t respect any sort of boundaries. They may go into your neighbor’s yard to dig, chase after animals, sniff at their landscaping or — worst of all — make a stinky mess. Once a dog picks a spot to urinate in, it’s almost impossible to convince that dog not to go in that spot again. Dog urine can kill grass, according to Mother Nature Network. In addition, it smells bad and your neighbors don’t want to deal with it. HomeAdvisor data shows that the average price to install a wood fence in Chicago is $1,729 to $3,797. 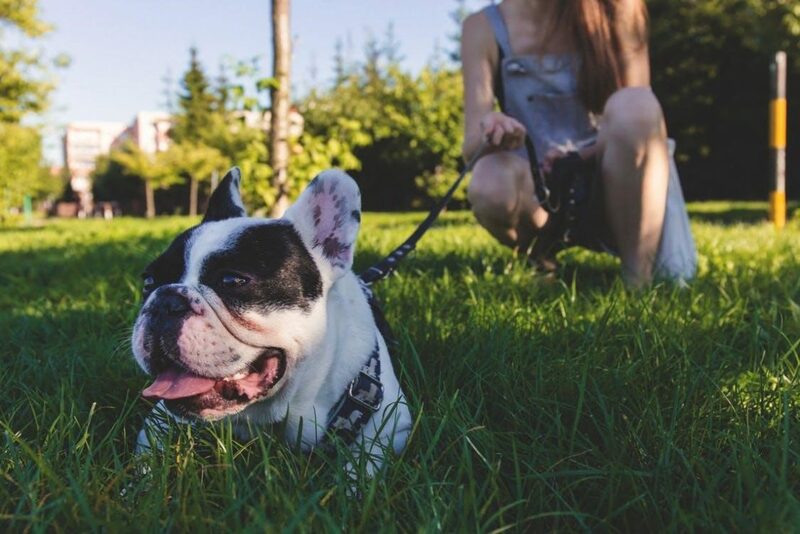 According to the American Kennel Club, you must keep your dog on a leash at all times it is outside if you don’t have a fence installed. This is the only way you can keep your pet safe, and keep it within your property boundaries. Keep in mind that no matter how much you love your dog, others don’t feel the same. Some people have unreasonable and irrational fear of dogs, even small dogs. Still others plain don’t like dogs and won’t tell you why. Some people believe dogs are dirty, noisy, or smelly. No matter how your neighbors feel about your dog, they’ll still know that you’re doing your best to be a good neighbor.